Did someone say March? That means it’s pretty much spring and the cosiness of my nearly finished WIP will soon no longer be required! (Is it wrong to hope for a short cold spell so my blanket gets some use?) However, after 2 and a bit months we are nearly there. 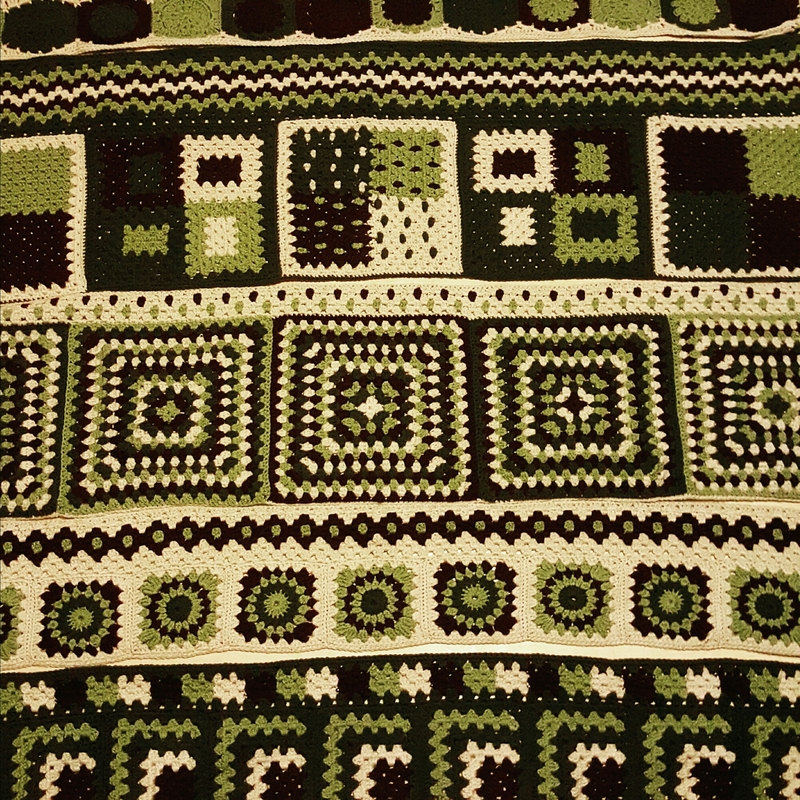 The Bluebird’s Granny CAL blanket is at the joining stages, here it is all laid out ready. 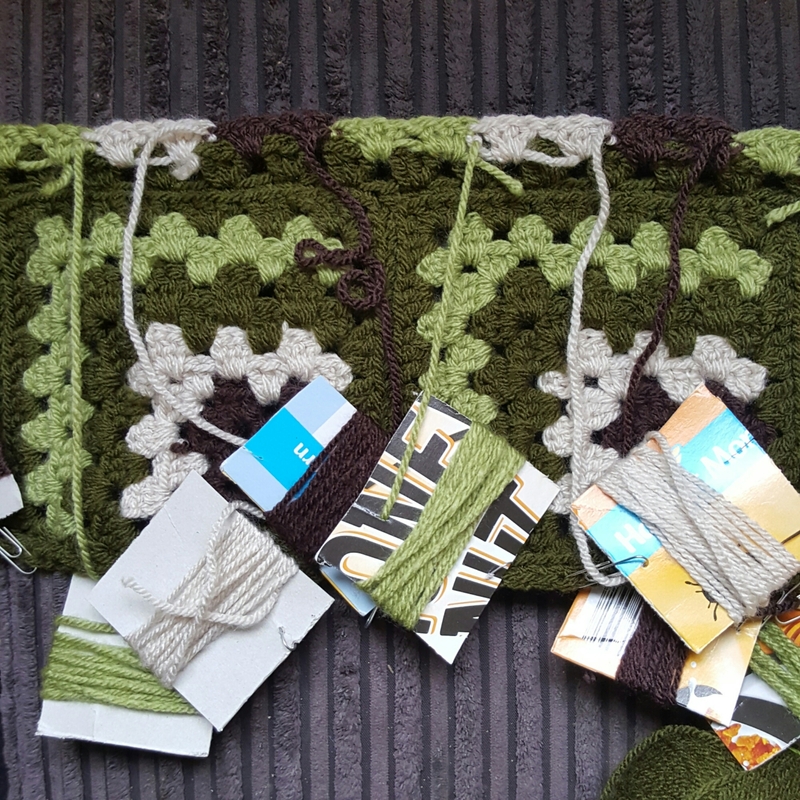 I am really pleased that I worked the double crochet edging rows as I finished each strip so that they are all ready to join, and that I sewed in the ends on each strip as I went along. I’ve started joining already, but not enough to make it photo worthy! Before I got to the joining stage I had to make the granny stripes along part 5 and it is possibly the most complicated thing I’ve done. I had 36 bobbins of yarn paperclipped to my project and spent most of the time being paranoid about tangles (luckily my fears were unfounded). It was slow progress but the finished piece looked quite smart, it’s amazing what you can do with the humble granny stitch! This is the state my work was in on Sunday! This blanket is all I’ve worked on this week as I’m heading for the finish line! What have you been working on this week? Are any of your projects almost finished? I’d love to hear! Previous Post An Awards First! Haha, I can’t wait to start something else! How big is your bear going to be? 😂 I think I may need to make another bear as my two children are fighting over the one the eldest has. I fear for his limbs! wow you will soon be happy dancing. I will try to look out for your progress whilst I am on holiday as I look forward to seeing it all complete. Thank you, there will be a very happy dance when it’s done! Wow!! That looks amazing!! I’m not quite ready for Spring which is a really bizarre thing to hear myself say – we have had the mildest winter and though I despise the cold I feel like I was robbed of it! I barely had anything to “grumpy old lady” complain about!! Thank you, yes, it has been a mild winter. A bit of snow would have been nice but never mind. That’s fantastic and quite a labour of love. That’s a blanket for festivals as well as fishing! Thank you, I’m sure it will have many uses, camping, den building and family film snuggles! another piece of art! so pretty! The blanket is looking great! I’m sure the Brutish weather means it will get used soon enough! When I used to work on libraries knitting projects and had a similar bobbin concern, I used to cut a plastic drinking straw into three or four pieces and thread the yarn through them. It really did help stop any tangling. That’s a good idea! I stabbed the end of the paperclip through the card bobbin and hooked it through the blanket so they couldn’t tangle but it wasn’t a foolproof method! You have so much on, but it all sounds fab. Thanks for the lovely comment about the blanket, I’m on to the borders now so hopefully not long to go. Gorgeous! I cant wait to see it in all of its finished glory!